Sometimes a secret can change everything… and I do mean everything. It was a secret so big, Lex was forced to leave everything behind… Striker included. Forced to return for her sister’s wedding, Lex comes face to face with Striker and is looking for answers. He’s waited 6 years for this moment. Will Striker be able to handle what he hears, or will he turn Lex away forever? Oh. My. Word! This tore me apart. The strength Lex exhibits was astounding. There was more to this secret and Lex than what meets the eye. Striker is a character that is easy to fall in love with. He gives you just enough “bad boy” vibes, but also has a heart of gold. This story was told from dual POV and it was lovely. Sarah Puckett’s narration was spot on with giving each character their own personality. The one complaint I have is it was difficult to tell when the characters were having a memory. This happened quite a bit, but I didn’t realize it was a memory until Lex or Striker were almost done reliving the memory. It probably reads better in print. I will say it didn’t stop me from enjoying the story. Welcome back to Eagle Ridge Ranch, and give a big Texas hello to Reece Browning! Reece is the newest member of ZQ’s old team to come to the ranch for recovery after the loss of his arm. After the trauma he endured at the hands of his captors, Reece has taken to not speaking. Gina, his physical therapist, is the polar opposite. She’s quite the chatterbox. In the beginning, it looks as though it bugs him that she talks non-stop, but it’s really just to get him to open up. He slowly starts to open up, and you get to see what Reece may have been like before becoming a SEAL. 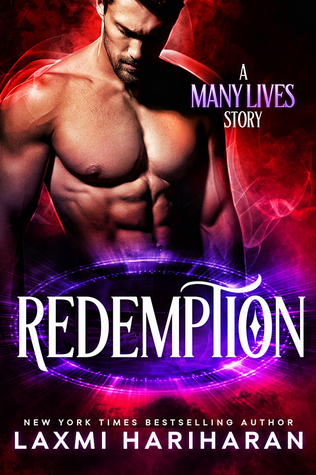 As the story progresses, you get the backstory of Gina and Reece. You also meet Gina’s daughter, Piper, who is the smartest 6-year-old you will ever meet, and she’s looking for a father. While their friendship develops into a relationship, trouble is brewing. Will ZQ and his team be able to step in and prevent a crisis, or will they be too late? I had moments of frustration and moments where I literally laughed out loud. As I relived the traumas with Gina and Reece, I gained a deeper level of appreciation and respect for the men and women in our Armed Forces. It reminds you how real PTSD is and how poorly it’s being treated. I thank Ms. Davis for bringing attention to the subject. I fell in love with the secondary characters. I found Piper to be absolutely adorable. She’s reminded me of Bryce’s daughter, Colleen, from A Highlander’s Passion. I cannot forget Junebug and her love for Jack. It is truly hilarious. I enjoyed getting to know and (slightly) understand Ashley and everything she has been through. I’m not sure whose story I’m more looking forward to, ZQ or JJ. All I know is I can’t wait. Warning: There is a bit of a sensitive subject matter of abuse. It’s not explicit, but it is an important element to the story. We first meeet Nic in Luc, having a little fun at his brothers expense. In this story, you get a sense of Nic’s insecurities. You get the full extent and full understanding of why… and it’s truly heart wrenching. On one fateful night, Anna and her daughter, Lacey enter the Rossi’s restaurant after hours and meet Nic. Both Anna and Nic have experienced traumas in their lives and are extremely open to insecurities, but on different levels. Anna and Lacey are on the run from Anna’s abusive ex-husband, Tony, and as a result, land themselves in Angel Bay. It’s a nice safe town and a great place to raise a family. As they get to know each other and grow close, love and danger is just around the corner. What do you do? Stand and fight for what you want? Or do you flee? This is a charming story of love, loss, fighting for what you want in life, and having the courage to receive it. Anna starts off as a woman terrified of all men, especially Nic as there are physical similarities between Nic and Tony. As the story progresses, Anna grows strong and she not only finds her voice, she finds herself. Nic thought he could never love again. He let his guard down and amazing things happened! Highly recommend to anyone looking for a quick love story! Thank you to NetGalley for approving me for this book! 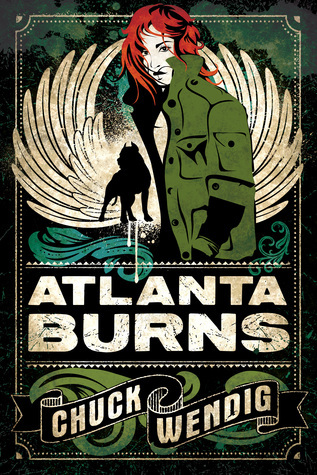 I enjoyed the book for what it was, but as a warning… this book is pretty dark (or at least it has some dark moments… ) Atlanta Burns is a high school student with a troubled past. She moves from North Carolina to Pennsylvania as a result and she comes with a reputation. She’s a total badass who does not stand for bullying of any kind. What I can appreciate about this book is that it touches on quite a few issues such as discrimination (of all kinds), dog fighting, and sexual assault. The book starts with her saving a kid named Shane from being bullied because he’s Venezuelan. For that, she’s made a friend. But she also gains the reputation of being the problem solver. Shane has a friend, Chris, who was bullied and sexually assaulted because he’s gay. The three of them become great friends, but they want revenge. The more they plot their revenge, the more you notice how racist and unaccepting the town really is. As a result, all revenge plots are never perfectly executed. Atlanta feels like everything she touches goes bad, but her heart is in the right place. 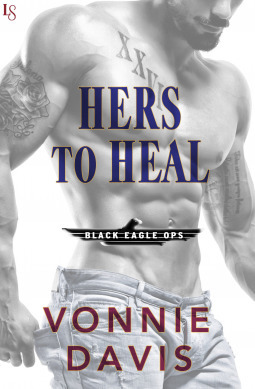 Just when she feels like she’s settled into her place in life, tragedy strikes… and she feels like it’s her fault. It’s up to her to set it right. The dialogue was a bit awkward at times, but it’s been a while since I was a teenager. This book has breached subjects such as prescription drug use, sexual assault, and discrimination that makes conversations warranted. The message at the end was inspiring. There was a mention in the beginning of the book how there’s tons of videos on youtube telling you that it gets better. Atlanta tells you it doesn’t get better… if you choose not to stand up and take a stand against bullies. So hopefully, conversations will start.